Well I did it. 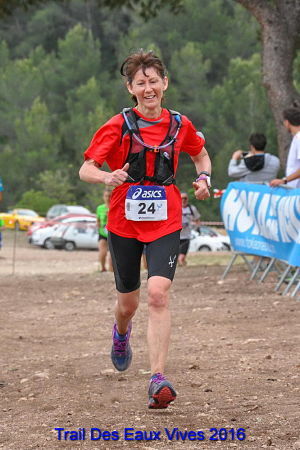 I finished the Trail des Eaux Vives 13 km and lived to tell the tale! Every year my running club organises a racing weekend away and they try and choose a place where there are different levels of races so that we can all compete no matter what our running ability. Usually it involves a marathon, a half marathon and a 10 km. 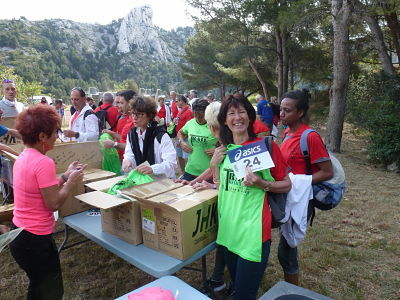 This year however was different and we were going to be doing a trail (either 13 km or 23 km) in the hills of Marseilles. At first I was kind of excited, never having been to Marseilles but that quickly turned to anxiety when I saw the elevation map and the sort of terrain that we would be running on. Talk about sleepless nights. Bill my husband is training for a marathon so he decided to give the 23 km a go whereas I was having none of that and the Trail des Eaux Vives 13 km was my choice. I scoured past photos on the internet (kind of bad idea) and basically saw that we would be racing on rocks and boulders and climbing craggy hills. Added to that was a huge climb of 700 + meters followed by a descent of equally hair raising terrain. Downhills are my weak point ( must be age related as downhill skiing now makes me nervous) and add rocks to that and you can be sure I'll fall. Bill's elevation was going to be about 1500 meters! Well basically it was not much and I know I should have done more but I have been following a low heart rate (LHR) training regime which has me training at a maximum heart rate of 125 beats per minute. 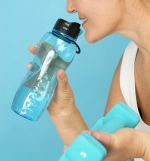 The idea with LHR training is that you are teaching your body to improve its aerobic system so that you can run faster speeds with a lower hear rate and burn less glucose in the process so that you can run further with less fatigue. I love training like this now even if the first few months were tough having to walk most of the time. However show me a hill and my HR shoots up. So basically 90% of my training was on the flat. Already that didn't bode well for the trail in Marseilles. We were 32 in total from our club, all ages and all abilities and we were going to be joining 450 other runners. 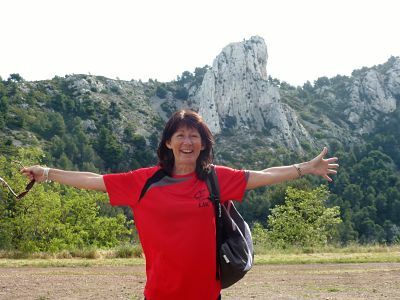 Friday afternoon we set off to Marseilles from Limoux by coach and as per the French tradition the journey was interspersed with aperos which means stopping the bus literally anywhere, from the pavement to a parking lot and having a few glasses of Chardonnay and some saucisson. I do love the French lifestyle. Definitely not good race prep though. Friday evening was more aperos and more food and try as I might to restrict myself, it just didn't happen. Saturday morning we set off to the race area to collect our bib numbers and the free t-shirt. That was when it hit me - excitement and fear. The race starting point was in an open area at the bottom of the mountains and all around we were surrounded by the most beautiful scenery. 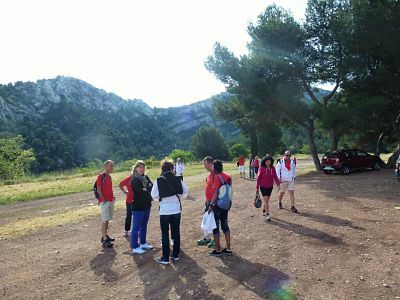 The Trail Des Eaux Vives is set in the Calanques National Park and it is just draw dropping. We were surrounded on all sides by rocky mountains covered in wild heather and below us was the city of Marseilles. Looking at the rocky terrain, I was definitely glad to have trail shoes but did wonder if a crash helmet of some sort would be useful too! I've got to run up that?! The race started at 9.30 am so we were up at 6 am which was fine by me as the hotel bedroom was pretty hot and I didn't sleep that well. After breakfast we set off for the 1.5 km walk to the starting point. Cars and buses were discouraged from driving to the race start in order to protect the environment. It was actually quite nice walking and I treated it like a warm up and a time to calm myself. We were all ab it nervous as none of us had really trained on this sort of terrain and for most of us the elevation was the highest we had done. I had decided to run with a camel pack and did wonder if this was sensible as I had only tried it out twice before. I also took loo paper (just in case) and 2 gel bars (again just in case). The weather forecast all the previous week had predicted thunder storms but on the day it was glorious. Not too hot and just a light wind. Before I knew it we were off. I had planned to run at a HR of around 150 but within minutes, my HR was around 160. At that point I decided to just go by feel and not let myself get too out of breath. I totally ignored my pace as I knew it was going to be erratic anyway. 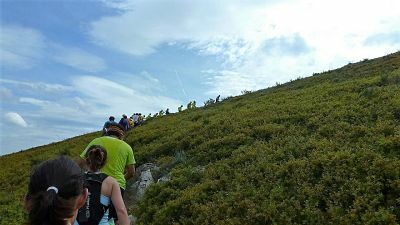 The first half of the course was basically a climb up to the highest point, "Le Sommet du Mt St Cyr". The first km was on a wide dusty track but quickly it turned into a narrow single file rocky path and so basically I had to follow at the pace of the person in front of me. Everyone was walking by this point as it was so steep and it was near impossible to do much over taking as there were prickly brambles either side. It was a bit frustrating but I just followed in line.....for 7 km. At that point I wished that I had set off near the front of the pack as I could have possible gained some time. I also wished that I had taken my camera (though not sure where I would have put it) as the views were just fantastic and it was a great sight looking back and seeing a trail of runners, snaking up the hillside like little scuttling ants. Onwards and upwards. Spot the team pushing a wheel chair. Very impressive. At one point someone behind me called my name and asked if I needed water. I didn't dare turn round in case I tripped and it took me a while to work out that it was someone from the club. 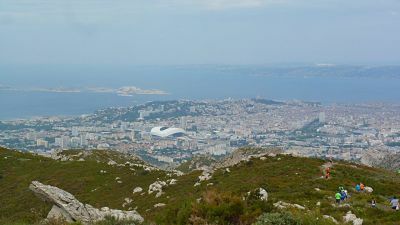 We walked together up the mountain till we got to top of Mt Sy Cyr and it was impossible not to stop and take in the view of Marseilles at our feet. Then the descent began.... the bit I had been dreading the most. Starting the descent of the Trail des Eaux Vives. Marseilles in the background. Everyone picked up speed, me included and most of the time I just felt like a cat with nine lives whose luck was going to run out at any time. There was one particularly scary section which involved me sitting on my bum to get down and I knew at that point I was holding people up. The nice thing about racing in France though is that there is a certain racing etiquette and people are very polite at asking if they might pass you. I was more than happy to oblige until I realized that one club member who is 7 years older than me, slid past me with nimble ease. That was when I decided I just needed to be braver and stop being a wimp. There was only one water station (national park regulations) and that was about 3 km from the end. I stopped briefly when someone offered an energy drink, took a couple of gulps and then charged on. I knew then that this was my chance to make up for lost time. 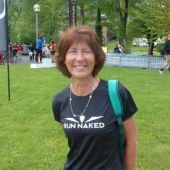 The piste opened up and although it was gravely and slippery, I was able to pick up the pace and one by one I stated picking off the other runners and over taking them. A nice feeling! With 1 km to go, I was feeling good. My breathing was OK and heart not thudding around in my chest too much. I choose at this point to eat half a gel bar as I worried about getting cramps with the change in speed. Then came one of the hardest parts in terms of effort. After running a few hundred meters through a wood, we had to climb over a huge drain pipe and my legs by that stage just said "NO WAY!". I was tempted to ask the guy behind me to push me but I think he needed his energy for himself. Not sure how I got over the pipe, not elegantly I suspect, and then it was up 37 steep steps left over from an old look out station. Again, I'm not sure how I got up those either, but somehow I did. Finally the Trail des Eaux Vives finish line was in sight. I never set out to do a fast time but it was more a challenge to see how I could cope with a technical trail race with lots of elevation. I finished 7th out of 22 in my age group in a time of 1: 49 and was more than happy with that. Plus I didn't fall! 5 members of our club took a tumble at some point and one needed stitches in his head. Would I have done anything differently? Not really except I should have practiced more on rocky downhills. I loved having my camel pack and it didn't rub although it did tend to slip off one shoulder from time to time. I think I would have also started nearer to the front of the race in order to avoid getting caught up with slower runners. I think we all felt that the Trail des Eaux Vives was a pretty tough race and in hindsight we should have prepared better for the technical side of it but it was brilliantly organised and if you like trails, I would definitely recommend the Trail des Eaux Vives.